Medical tourism is one of the growing sectors in India. It is known worldwide that India offers good, cheap and quality health services compared to other countries and this has caused an influx of patients from around the world. 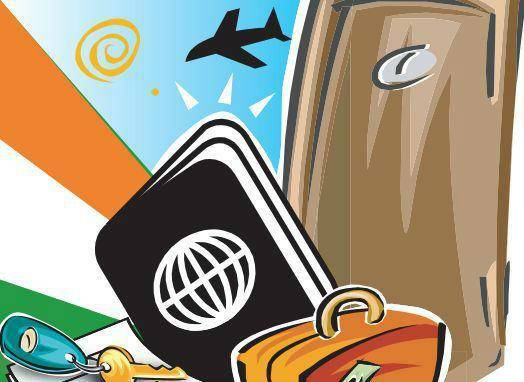 India’s medical tourism sector was estimated to be 3 billion US dollars in 2015 and according to Confederation of India’s Industries (CII) the major reasons for the inflow are advanced technology or equipment, moderate prices for the services compared to other countries like USA, Australia and Canada and so on. Mumbai, Chennai, National Capital Region and Hyderabad are the most visited places as per this field is concerned. Patients from Africa, Canada and around the globe visit India annually for medical facilities and services. The would be major constraint is language but most of the hospitals are hiring English translators and also many doctors understand and can communicate in English and the government also has to improve the infrastructure for an advancement in this sector since it shows a lot of potential for the country. Currently, everything is affected due to the demonetization period in India. Any plans for visiting a doctor when the situation is not crucial has to come to a standstill because there is no way you can visit a doctor without new currency or one hundred notes and below. For the foreigners they have to withdraw RS.5000 which is equal to 73 dollars per week meaning the budget is limited. Many who are just reporting back are also affected since dollars have to be exchanged into local currency at a high rate not forgetting the response of “there is no cash”. Some patients who think cannot handle will now opt for countries like Malaysia, Thailand, and Singapore until the situation goes back to normal. Both local and foreign patients are affected by the situation and this puts the patients’ lives at risk. On November 8, 2016, Narendra Modi the PM of India announced the demonetization of RS.500 and RS.1000 notes in the name of fighting corruption and black money. This has affected the businesses and the medical sector highly. For any patient that was planning to visit India for treatment had to draw plans on how to get cash since even the local patients were denied medical services due to the situation. The patients have resorted to using of cheques, debit and credit cards in order to acquire services. But of course the doctor cannot leave the patient to suffer to death; medical attention will be extended to the patient in any case possible. Possibly by the end of December 2016, the currency problems will be a nightmare and the situation calm. This will again encourage patients to opt for services in India. These calls for the government to impose measures to secure foreign trade in case any new implementations are in action and as well improve on the infrastructure problem and this will boost the medical tourism sector.